As part of the BBC’s Norman season, historian Dan Snow puts his walking boots on and sets off to see what the great British landscape can teach us about our Norman predecessors. From their violent arrival on these shores, to their most sustaining legacies, Dan’s three walks follow an evolutionary path through the Normans’ era from invasion, to conquest, to successful rule and colonization. On the Sussex coast, along the Welsh border and on the edge of the North York Moors, Dan explores the landscape and whatever evidence might remain – earthmounds, changing coastlines, viewpoints, and the giant stone castles and buildings that were the great symbol of Norman rule. All these elements offer clues as to how the Norman elite were ultimately able to dominate and rule our Anglo-Saxon kingdom. As Dan discovers, there are a great many unknowns about events in 1066 and thereafter. But one thing is clear – wherever they went, the varied British landscape and its diverse people offered a fresh challenge to the Normans. Dan’s final walk takes him north, to lands brutally devastated by the Normans four years after the Invasion. But the genocide of the Harrying of the North campaign was the final act that brought the whole of England under Norman control. The walk explores how the area became the setting for one of the Normans’ greatest legacies – the abbeys and monasteries of northern England. From Helmsley Castle to Rievaulx Abbey, Dan investigates how one local lord established an institution that would revolutionise the community and commerce of the moors. With numerous similar abbeys the ambitious Normans would create a new era that defined northern England throughout the Middle Ages. On the Sussex coast, along the Welsh border and on the edge of the North York Moors, Dan explores the landscape and whatever evidence might remain; earthmounds, changing coastlines, viewpoints, and of course the giant stone castles and buildings that were the great symbol of Norman rule. All these elements offer clues as to how the Norman elite were ultimately able to dominate and rule our Anglo-Saxon kingdom. Dan’s second walk explores what the invaders did next, as they aimed to cement their rule across a diverse nation. Despite William the Conqueror being confirmed as king, the Normans had only completed stage one of their colonization, and few areas were as unstable as the Welsh borders. Challenging topography and a multitude of local chieftains made for an uncivilized region and Dan’s walk around the Monnow river system is dominated by the motte and bailey castles that sprang up throughout the Norman era. These were the handiwork of ambitious barons who made their mark on the ‘march’ – a border zone from which the Normans pushed their influence west into Wales and Ireland. Dan’s very rural walk is still touched by the agriculture, forests and common ground established by the Normans, and he discovers that one of the present-day landowning families has held its lands for almost a thousand years. The exploration begins on the Sussex coastline, on the cliffs overlooking the Channel where William the Conqueror and his army first encountered British soil in the run-up to Hastings. But whilst the end result of William’s invasion is in no doubt, how much do we really know about events leading up to the Battle? 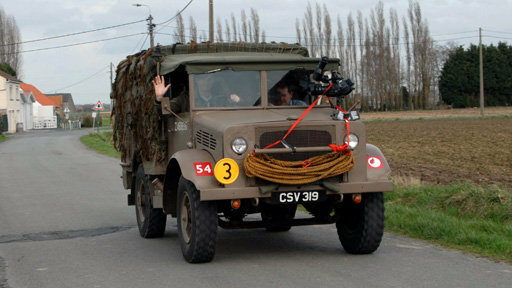 From Hastings to the town of Battle, Dan’s first walk traces events in the two week period between the Norman landings and the battle itself. By exploring the coastline and investigating what the opposing armies did for two weeks, Dan begins to satisfy his curiosity about why the battle took place when and where it did. 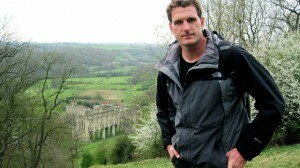 Been a bit lax in updating the site due to life and stuff over the last couple of months, but Dan will be on BBC4 tonight at 10pm with his “Dan Snow’s Norman Walks”. New series. 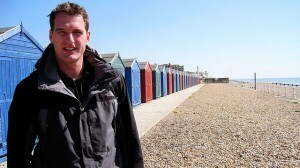 Dan Snow begins his exploration on foot through the remains of Norman Britain on the Sussex coastline, where William the Conqueror first set foot on British soil in the run-up to the Battle of Hastings. The historian traces the period of time from the landings to the armed confrontation itself, speculating about what both armies did during those two weeks, and tries to separate myth from fact concerning one of the most famous dates of British history. Part of the Normans season. Battle for North America – Tonight! Documentary telling the story of the Battle of Quebec, 1759, where at stake was the future of North America and the fate of the British Empire. Britain used its growing industrial strength and a new scientific approach to fight a campaign unlike any that had gone before. 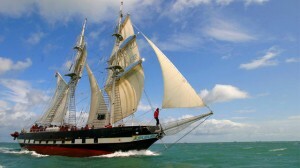 It launched a fleet of 200 ships carrying 20,000 men on a deadly mission through uncharted waters. 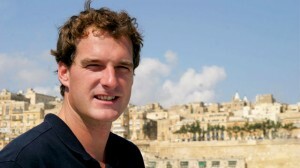 Dan Snow sets sail up the magnificent St Lawrence River following the route taken by the British. Posted in Battle For North America, On TV | Comments Off on Battle for North America – Tonight! YouTube – Battle for North America Trailer.mov. Rapacious and ruthless, the 19th-century Navy used ‘gunboat diplomacy’ to push British interests further afield than ever before. It was control of the sea rather than her land empire that was the key to Britain’s growing wealth. Technological advances saw Britain and France engage in an arms race over battleships. While Britain’s navy appeared to be winning, the meritocracy fostered in Nelson’s time was slowly being eroded by an entrenched hierarchy which smothered any spark of initiative among its sailors. When Germany emerged as a new threat, modernising admiral Jackie Fisher was called to reform the Navy. Fisher believed in peace through deterrence and had plans for a huge new battleship – the Dreadnought. When war finally came, the British and German fleets clashed off Jutland in 1916. But the outcome was not the knock-out blow the British public wanted. Britain emerged from World War I victorious but broke, and no longer able to maintain by far the world’s largest fleet. In time, other nations eclipsed her. It was the end of centuries of naval supremacy. via BBC – BBC Two Programmes – Empire of the Seas: How the Navy Forged the Modern World, Sea Change. 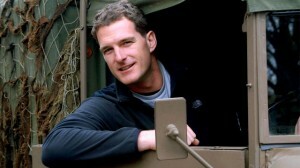 In the third programme in this epic four-part series on how the Navy has shaped modern Britain, Dan Snow sheds light on the evolution of Nelson’s Navy in the late 18th century. It was the most powerful maritime fighting force in the world, with highly trained crews and ambitious officers. He explores the national enterprise which supported it, and explains how the empire it helped create put Britain on the path to war with France. Through the stories of naval heroes like Captain Cook, naval administrators like Charles Middleton and of course Admiral Nelson, Snow explores the elite training, the growing naval meritocracy and the years of tough experience which created a ruthless and professional ‘Band of Brothers’. He looks at the impact of innovations such as the copper bottoming of the navy’s ships and the introduction of a new tax – income tax – to pay for the fleet. Pushing back the boundaries of the known world, the navy’s highly trained crews and ambitious officers laid claim to a burgeoning empire, but at a huge price. By 1800, Britain had been dragged into the greatest sequence of wars the nation had ever seen. via BBC – BBC Two Programmes – Empire of the Seas: How the Navy Forged the Modern World, High Tide. 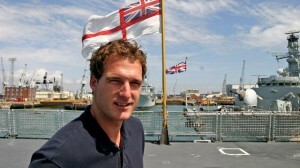 Historian and sailor Dan Snow presents the second episode in this four-part series examining the remarkable story of how the country’s greatest institution – her Navy – has shaped her history. In The Golden Ocean, Snow charts the period from 1690 to 1759 and reveals how England – soon to be Britain – and her Navy rose from the depths of military and economic disaster to achieve global supremacy. In 1690, France ruled the waves and the Royal Navy was in tatters. King William III had taken England into a disastrous war against the most powerful country in Europe. If England was to survive, it needed a new Navy, one capable of carrying the taking the fight to its enemies anywhere in the world. To achieve this would require a national effort unlike anything that had been seen before. King William III’s determination to achieve mastery of the seas unleashed a chain reaction of revolutions in finance, industry and agriculture which reshaped the landscape and created the country’s first great credit boom. Fifty years before the Industrial Revolution, the Royal Navy became the engine of global change, propelling Britain into the modern world. It had the desired effect at sea. By 1759, French forces around the world were capitulating to Britain’s superior Navy. For the first time in her history, Britannia really did rule the waves. via BBC – BBC Two Programmes – Empire of the Seas: How the Navy Forged the Modern World, The Golden Ocean.